Our Pay4me Service has been designed to look after all your payment needs including International Payments where we have to make a payment on your behalf. 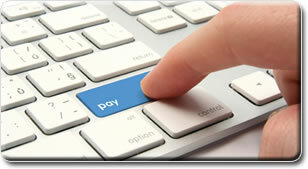 This is also the service to use for your payments on websites where OnlineNaira is not currently accepted. It can sometimes be difficult to make payments to merchants who demand to be paid with PayPal, International Credit/Debit Cards, etc. Our Pay4me service is here to make it possible for you to make such payments. All we ask is that you provide us with all the details we need to make the payment for you including login details (where applicable) and we will complete your payment for you irrespective of where the merchant is based within minutes. We charge 5% + NGN 250 when you ask us to send money through our Pay4me service. You do not need to do any calculations in order to send the money with our pay4me Service; just enter the $ value you need to send and OnlineNaira will deduct any applicable fees before sending it off. Assume you wanted to send $50 to a merchant, you just need to enter 50 in the space for amount. If you wish to send in £ or EURO, you will still need to convert to $ in order to enter the amount into Pay4me. If you do not already have money in your OnlineNaira account, you will need to make a deposit first. In order to calculate how much you need to deposit for pay4me, see illustration below. It is important to make the correct deposit knowing that our fees are added and that you have followed the correct procedure to deposit money. Here's the formula you need to calculate your deposit for pay4me purposes : ($Amount * Rate Toady - 250>)/1.05. If you need to pay $50, you would do (50*5 - 250)/1.05 . To make the deposit, login and click on DEPOSIT, enter that amount you calculated in Naira and choose your deposit method. If you are still unsure, please have a chat with a member of staff online now. Please use our Pay4me service to send money to a known paypal email address. Here's how to do it: login and click on SEND and choose PayPal in the list of payment options. Enter the $ amount you need to send and provide the paypal email address in the space for description. All payments to PayPal are usually completed within 5 mins.